Read our whitepaper on how the growth of China's middle class may not be the hype that economists predicted it to be. For a long time, Western businesses have spoken about China’s middle class as the great growth story of the future, but some analysts say that era is over. 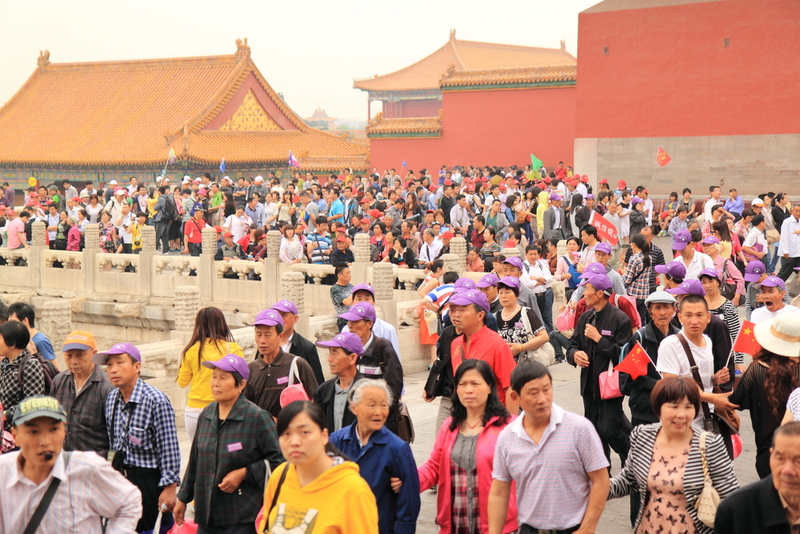 Today, China has over 310 million middle class people. In 2015, those people spent almost as much as middle class Americans did in the same year -- $4.2 trillion to the $4.7 trillion in the US, according to a recent Brookings Institution study. There is quite a range in what is being defined as middle class – the Brookings study defined it as a family of four that earns anywhere between $14,600 USD and $146,000 USD back in 2011– but in Chinese terms it means life has gotten relatively easier. Disposable income in the middle class rose from 16,510 RMB in 2012 ($57,785 in purchasing power parity terms) to 23,820 RMB in December 2016 ($83,850 in PPP). “These people would be able to buy a car, rent a two bedroom apartment, eat out and go out for entertainment,” says Ronald Schramm, an associate professor at the International Business School of Suzhou). The per capita income in China is still about $8,500 but if a married couple both work (as they do) then let’s say an urban family could be middle class at about $17,000. They would save about 25% of their income so that leaves them with $4,000 or so in savings,” he says. For consumer-focused businesses, it means there’s enough money around now for the Chinese to have developed a serious craving for Starbucks– China is the coffee giant’s second-biggest market after the US – and take-out chicken (KFC sells more fried chicken in China than anywhere), according to Rein. All this might sound like many other developing economies, only bigger, but the Chinese middle and upper classes are distinctive in another way: they are rapidly becoming 21st century consumers — less interested now in products than experiences, less enamored of brands, more concerned about the environment and more inclined to make online purchases. Retail sales are still rising about 10% a year but analysts say Chinese consumers are changing. For instance, when the Chinese travel, it’s not just for shopping anymore says Rein. They are interested in culture and learning about a place, they’re hungry for experiences. A Chinese tourist now might spend five days in a city and move to a new hotel every night, just to see as much as possible. This interest in seeing and doing new things is reshaping all kinds of global patterns. In tourism, for instance, the Chinese have already turned the world upside down: in 2016, Chinese travelers crossed the border 135 million times. The Chinese are now the biggest travelers in the world; their travel bill tops $260 billion which is double and triple their two nearest competitors, the US ($121.5 billion) and Germany ($81.1 billion). Out of every $1 spent on travel in the planet, nearly 21 cents these days is drawn from a Chinese bank account. The country is becoming more sophisticated in other ways as well: 432,000 Chinese students returned from study abroad last year, up from 24,000 in 2005. This has been a windfall for US universities, the top destination for Chinese students who want to study abroad. In 2016, $15.9 billion in tuition fees was paid to American schools, roughly $45,000 per student, according to the Chinese Ministry of Commerce figures. Overall, the country’s universities now produce roughly twice the number of college graduates as the US. Those numbers too are up dramatically, from 2.391 million in 2005 to 7 million a year today. Health spending is also more of a priority now too, Rein says, partly as a reflection of the growing concern about the environment. After all, he says, what’s the point of owning a Louis Vuitton bag if you can’t breathe? The Chinese are also buying more online, particularly media. In this respect, China is not simply catching up; Rein argues that the social media functionality and media choices available online in China are actually several years ahead of what’s currently on offer in the US and Europe. Comparing WeChat to WhatsApp is like comparing a Ferrari to a Ford, Rein says. In the short run, most analysts seem optimistic about the growth of the middle class. Wages continue to rise around 10% a year and the government hopes to wipe out poverty by 2020. McKinsey argues that by 2020 as well, over half of urban households will be earning enough to move out of the “value” category of consumer (meaning they have just enough to get by), to the “mainstream” middle class (people who can afford cars and small luxury items). In fact, the Brookings Institution, a Washington think-tank, recently forecast that the Chinese middle class could be spending 75% more by 2020, leaving the US as the world’s second-biggest middle class market. By 2030 that could continue to surge, topping 22% of global middle class spending, amounting to $14.3 trillion overall. For foreign companies, this is good news in the short run, not only for the opportunity it represents but because Chinese companies are likely to stay focused on the domestic market rather than look to increase their exports, Rein argues. When it comes to expansion, he says, they are also more likely to look first to other large emerging markets in Asia, such as Indonesia, which are closer to home and have some similar demographic characteristics. For this growing middle class, more money will be welcome of course, but serious concerns still remain. As they move up Maslow’s hierarchy of needs, the Chinese middle class is finding new things to worry about. The top of the list now, according to Rein: the environment, real estate prices, and a slowing economy. Environmental degradation is a major worry, Rein says, to the point that many Chinese dream of moving abroad, and poorer rural Chinese who have migrated to the city to work try to go home much sooner than previous generations, spending ten years working in the city rather than 20, which had been the previous standard. However, the latest five-year plan is trying to address some of the problems, through such measures as shutting down the most polluting coal plants and attempting to accelerate the development of electric cars. Overall, China seems to be making rapid progress in its cleanup efforts: between 2011 and 2015, carbon intensity per unit of GDP declined by 20%, largely due to a decline in coal use. By 2020, the government plans to drop that figure by another 18%. When it comes to air pollution, China is reportedly very likely to meet its 2020 Paris Climate Accord commitments. Progress on water pollution, however, appears to be moving more slowly. Real estate prices are another serious concern, according to Schramm. With average prices at $250,000 or more, it is very difficult for most families to buy homes. Even in second-tier cities, prices are very high at the moment: in Anhui and Luan, for example, prices have outstripped rents to the point that they now sell for an equivalent of a 30 to 70 price-to-earnings ratio. By comparison, US stocks at the height of the Dotcom bubble in 2000 sold for a PE of 32. 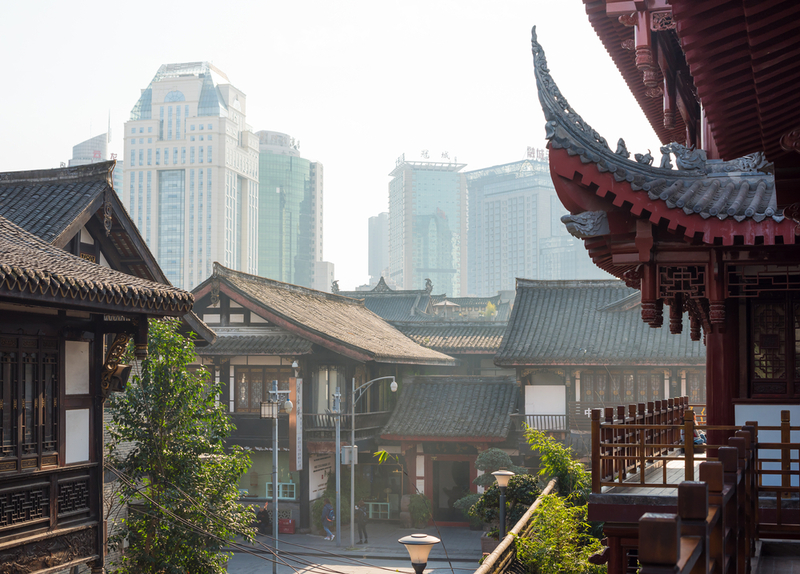 National and local authorities have tried various ways to cool the market however, and those measures do seem to be working in the largest cities, according to recent Central Bank of China figures. However, Schramm blames the shortage in part on those same authorities: he says central planning is restricting the capacity of the market to meet the demand. Prices in second-tier cities in particular are still bubbling. The other big worry, a slowing economy, is also shared by Schramm. “China’s growth is slowing every year and a number of bad investments have been made which will destroy growth in the 2020-2050 years. So I see in the near term, growth of a middle class at the lower end of middle classdom but lots of stagnation thereafter,” he says. In Schramm’s view, China needs to capitalize on its current technology advantage if it wants to create strong growth in the coming years and a large middle class. “It is still relying too heavily on investment in real estate and heavy industry rather than investing in people, management and technology, broadly defined,” he says. Overall growth has fallen from 10% in the 2000s to 5.7% now, according to Schramm, in line with what’s known as the Solow process most emerging economies go through, where “as the capital stock gets ever larger, diminishing returns and depreciation kick in to slow growth.” This is a problem, he adds, in a country where 2/3 of the population have not yet reached the middle class. But even slow growth on such a large base may continue to have an enormous impact on businesses both inside and outside China. The landmark London department store Harrods, for example, recently told the Financial Times that Chinese shoppers now represent a larger share of business than any other nationality – including the British. Thank you for reading our whitepaper on the Chinese Middle Class. This paper was created using the CEIC China Premium Database. For more information on China Premium check out our website. Bennett Voyles is a Berlin-based business writer who writes often about Asian business issues for CKGSB Knowledge, the journal of the Cheung Kong Graduate School of Business in Beijing, and other publications. Suyang Zhou holds a master degree in economics from HKU and has rich experience in global macro and investment analysis. He has been published in a series of analytical reports on Bloomberg, CEIC and research pipelines on Wechat.